Which way would you go, left or right? 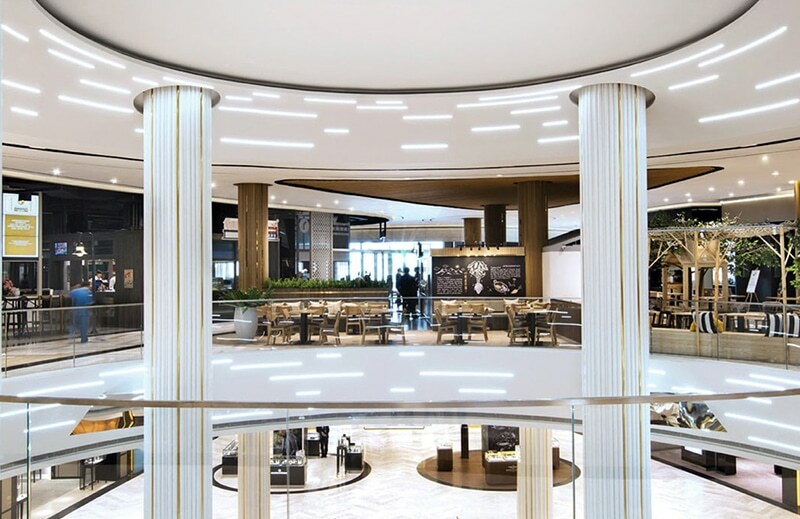 Working with leading retailer ARI at Auckland Airport offered us at TDS an unusual challenge; the reconfigured space guides passengers along the main walkway to two competing retailers – sited directly across from each other! 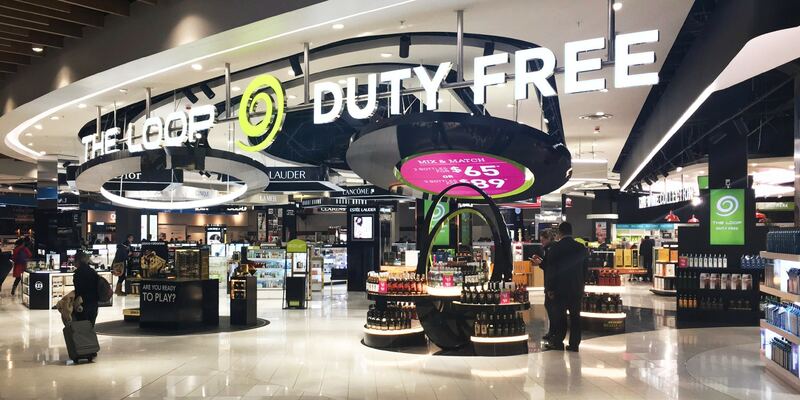 The Loop Duty Free is a fresh, modern and vibrant duty free store selling a wide range of top international and local brands across numerous categories including fragrance, beauty, liquor, wine and electronics. 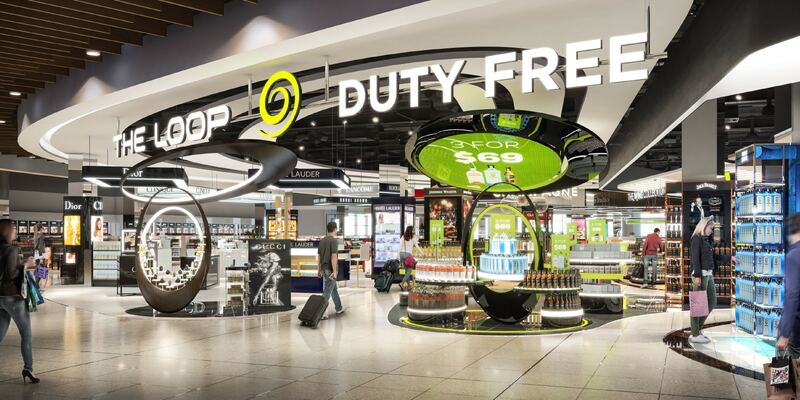 For this project we were faced with designing a store that would challenge a second duty free shop at Auckland offering the same categories as The Loop Duty Free store. How do we get the passenger to choose ARI’s The Loop store on the right? 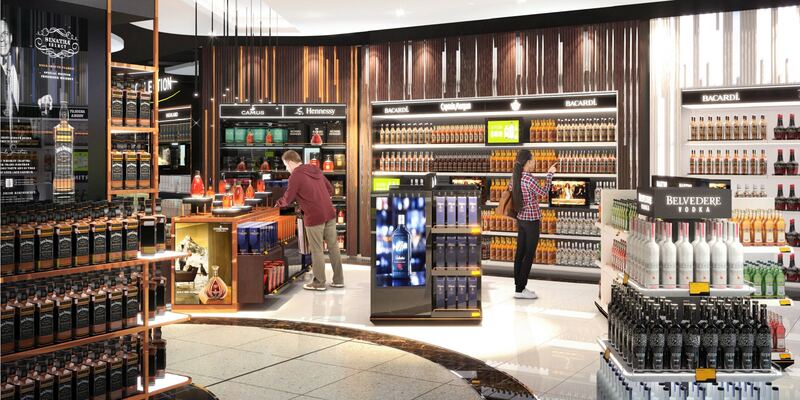 Here’s how: a dramatic store entrance with no visible threshold and 2 powerful product showcases (Liquor and P&C) up front. The layout tricks the passenger to naturally “Loop Right’! A contemporary loop inspired ceiling feature was added to the high ceiling. Looping planes come together over the walkway to create a dynamic ceiling valley, and tier down from high to low accentuating the feeling of space. The loops lead passengers into the space and define the different shop categories. Circulating over the promotion island are gloss black rings with an illuminated green inner face. 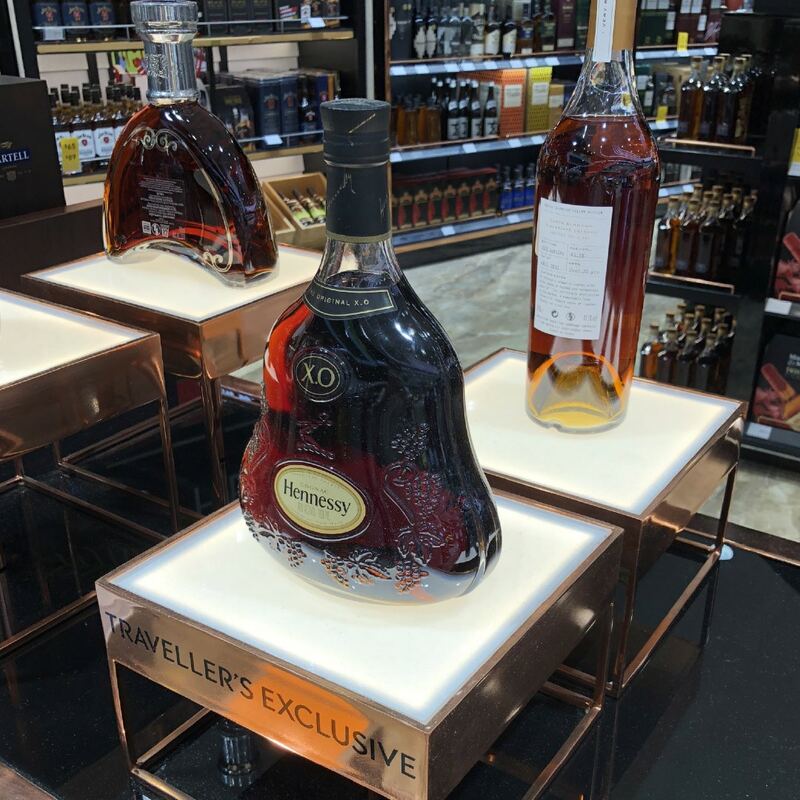 The products are displayed on interlocking ring display tables, with a central tiered merchandising table. 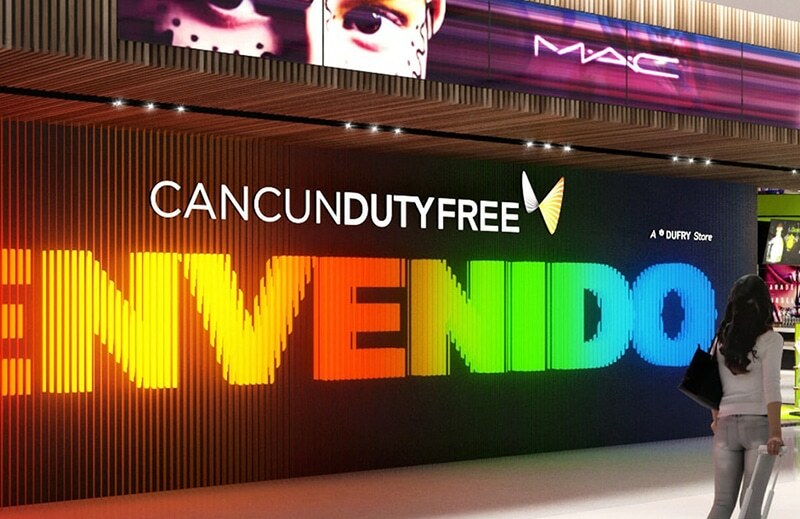 The image featured above showcases our design against the actual build, shown on the right, of the duty free store. 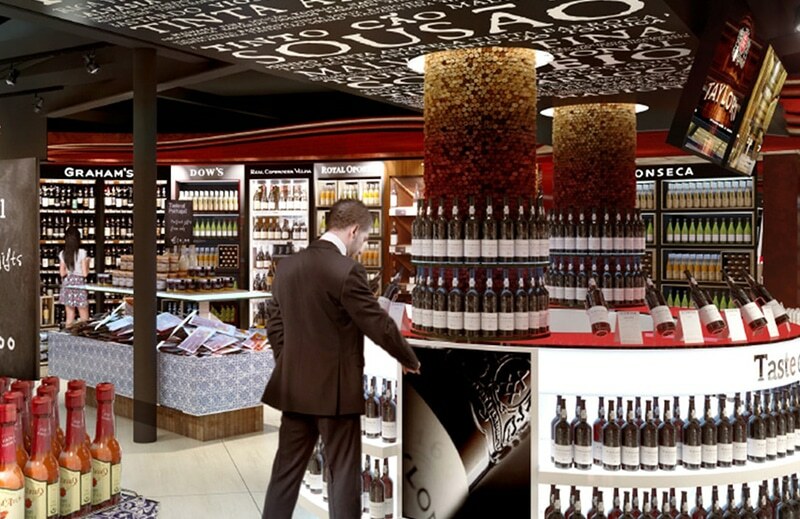 The promotion island catches the passengers’ eye, drawing them towards the store.